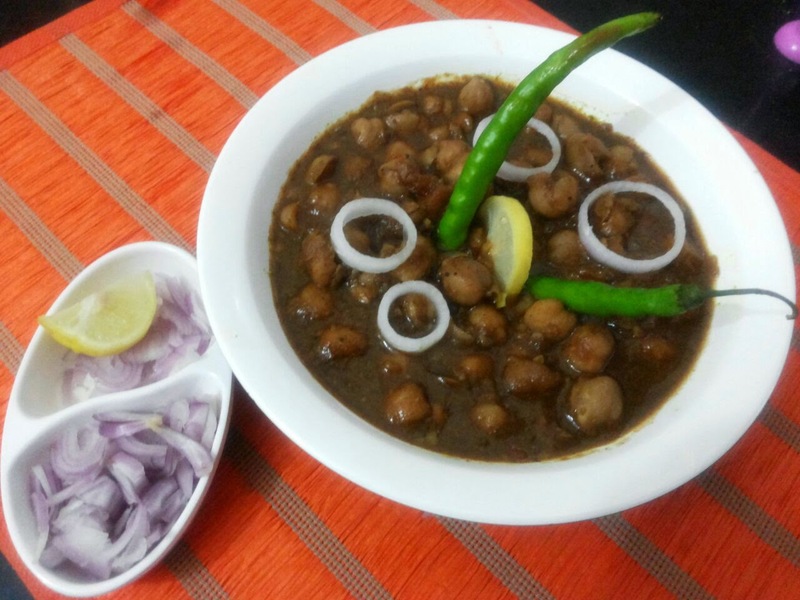 This recipe is extremely popular in northern India.I have given some tips to get a lovely dark colour of chole.This dark colour makes it look yummier and catchy. Take a pressure cooker,add chickpeas ,dried amla,water,salt to it. After 18 to 20 whisles open the cooker,chickpeas should not give a bite by teeth.Theys should be easily mashable by spoon. Take a pan and put all spices for chana masala to roast. Roast the spices till they start getting fragrant. Grind the spices in a grinder. Take another pan.Add oil to it.After oil gets heated add ginger garlic paste to it.Saute the paste.Add chopped onion to it and sauté it.Add chopped tomato and cook them till they are soft.Add prepared chana masala and salt to the mix.Add chickpeas with water and cover the pan.Let it simmer till gravy thickens.Add dry mango powder at the end and switch off the gas.